In recent years, climate-change influenced extreme weather events have threatened crucial infrastructure such as wastewater treatment plants and energy grids. 2017 brought a season of deadly, hyperactive hurricanes that left communities in the United States without running water for days. The questions is, how can cities and municipalities better plan for the future to ensure the resilience of their water and wastewater infrastructure? A good operations and maintenance partner can bring the experience and expertise to evaluate the condition of aging infrastructure and develop a plan to maintain, repair or replace assets to ensure continued operational excellence. In Wilmington, Delaware, an operations & maintenance contract since 1985 was renewed in 1998 with a 20-year extension. 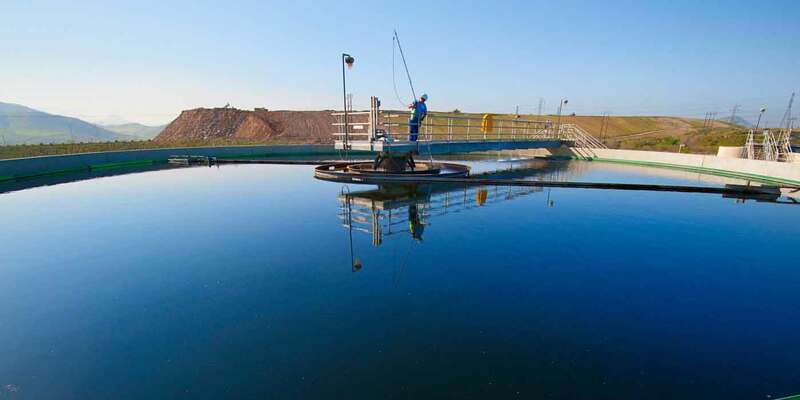 The extension included management of the entire wastewater treatment process and updates to infrastructure including new technologies to improve energy efficiency. The award-winning partnership provides the city with more than $1.5 million in annual savings. Most risk associated with extreme weather involves storms and flooding, but there’s also risk of extreme water scarcity in the case of a drought. An experienced operations team can utilize advanced databases and technologies to introduce improved decisions for the operation and management of a utility system to combat water loss. 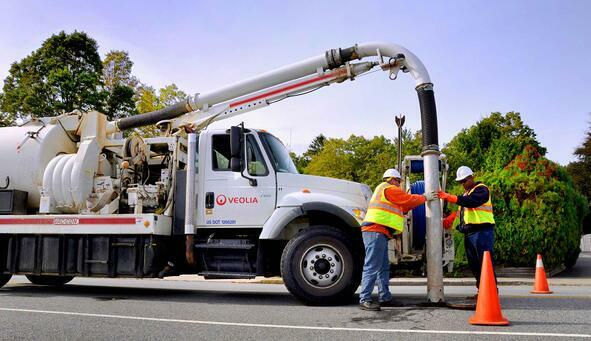 In 2016, New London, Connecticut extended its already 8-year-long operational partnership to optimize the city’s utility portal and billing software by implementing new technology provided by the private sector. After the implementation of the new system, the city reduced its unaccounted-for-water by 11 percent, saving 365 gallons of water a year. A public private partnership includes benefits such as efficient financial planning, revenue generation and management, project capital and economic development, which all lead to improved infrastructure. Increased capital and finances result in less pollution, water savings and improved compliance. In Rialto, California, the city was faced with financial challenges to meet federal water quality discharge requirements. To address financial needs for capital improvements and to meet anticipated increase in treatment capacity, through a 30-year concession agreement, the city received $35 million up-front payment and $41 million for treatment system improvements. The right operations partner can bring cross-sector knowledge to utilities that improve assets to ensure their resilience in a variety of ways. Introducing solutions in energy that work in tandem with water and wastewater operations means reduced risk in the case of an emergency, improved energy savings and reduced emissions. A wastewater treatment plant can be energy-neutral, meaning it creates the amount of electricity it consumes in a year on site. With the help of an operations partner, a plant can use biosolids from wastewater treatment, fats, oils and grease (FOG), and solar energy to create its own energy to power operations. Wastewater treatment facilities are often a city’s biggest energy consumer, the ability to produce a surplus of energy a facility consumes saves the city money and can reduce its carbon footprint. In the event of an emergency, operations & maintenance partners have the resources to respond quickly, assess risks, identify the most essential and vulnerable infrastructure and develop strategies to ensure resilience for systems that have failed to get them back up and running. In 2005, Hurricane Katrina devastated New Orleans and neighboring Louisiana communities. In the aftermath of the storm 80 percent of the extremely vulnerable area found themselves under water. 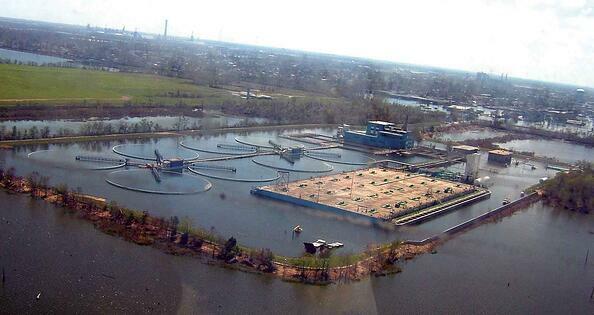 Luckily, New Orleans is part of one of the largest wastewater operations partnerships. Within 60 days the city was able to restore primary and secondary treatment services and eliminate potential environmental risks. Learn more about how operations partnerships can benefit cities and municipalities by downloading the guide, How to Achieve Resilient Infrastructure Through Operations Partnerships!